Sometimes you just wing it. We’d been planning this trip since April. We always like to travel somewhere in July for our anniversary, and we had so much fun in Seaside the last time we went that we decided that we would do that again. No long ramble this time; just four days by the beach, loafing and doing as little as possible. We found a congenial hotel, right on the ocean, and booking in advance gave us a great discount. Because our budget is so tight, we try to plan and prepay as much as we can so we don’t have to count pennies every minute of the actual trip. But occasionally real life intrudes no matter how hard you try to keep it at bay. Which is to say, we ended up having to put in a new radiator and cooling fan into the car; the whole damn cooling system, essentially. It’s amazing how quickly your bank account melts away to nothing with car trouble. At least we didn’t need to replace the pump too… that might have left us homeless. As it was I was just barely in time to cancel the hotel and everything else before we were past the no-refunds/kill-fee deadline. Except for one. 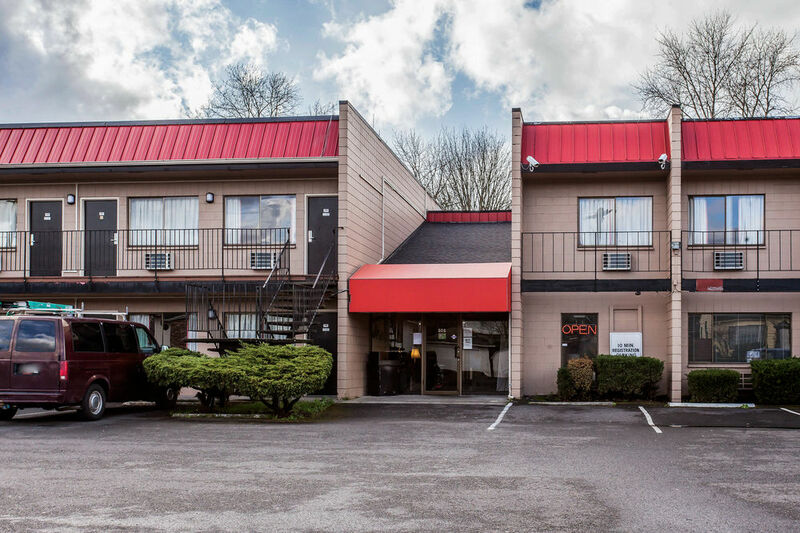 The Econo-Lodge in Kelso, where we planned to just crash overnight on our way to the Oregon coast, we couldn’t get that back. That was one of the conditions of the great advance payment price they gave us. So we were committed, at least financially, to one night in Kelso. 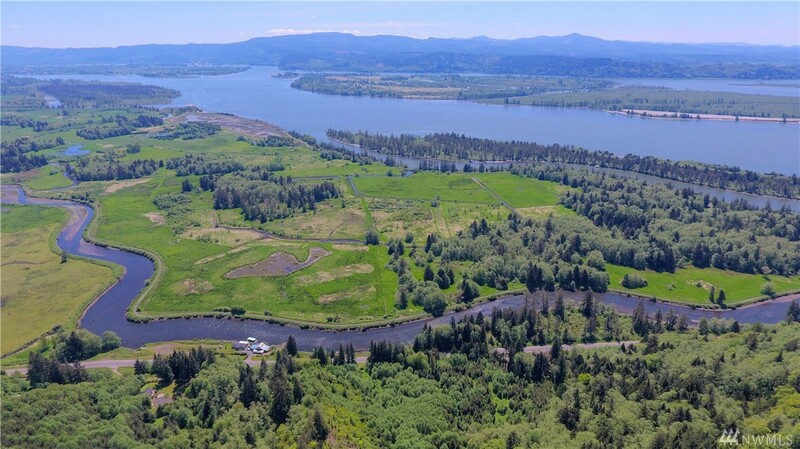 Kelso– really, Kelso and Longview, for they’ve sort of morphed into one town for all practical purposes– is not a terribly exciting vacation destination, though there are a couple of pretty spots along the Cowlitz River. Mostly, though, it’s bleak and surly, a working-class town with more and more empty storefronts every time we pass through. I suppose we could have just eaten the sixty bucks for the hotel room and called it done, but we had the vacation time all set up, we had to take it, so what the hell. Anyway, we could find some way to amuse ourselves, we always do. 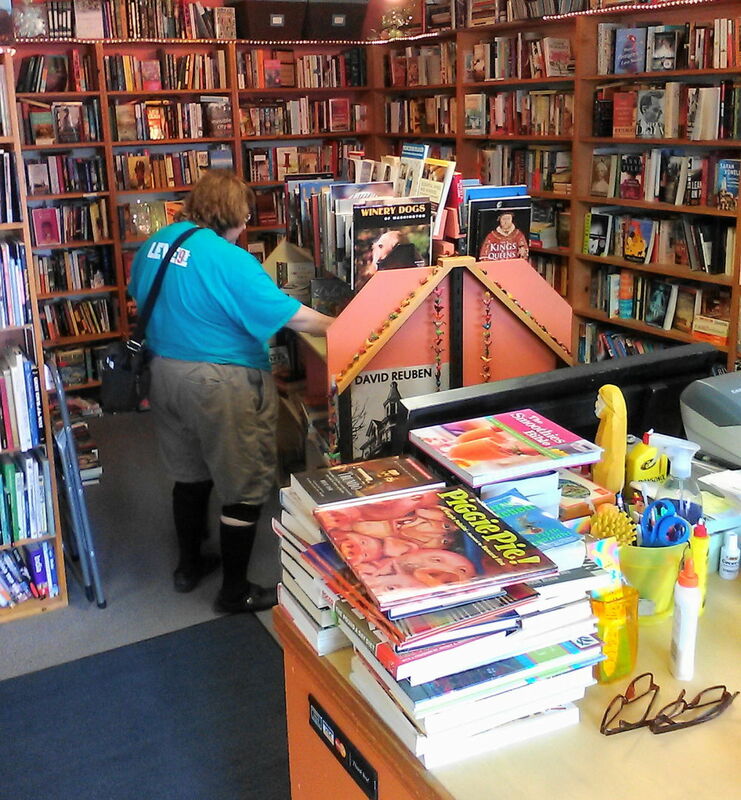 We’d never really looked much at Longview for books and thrift shops. 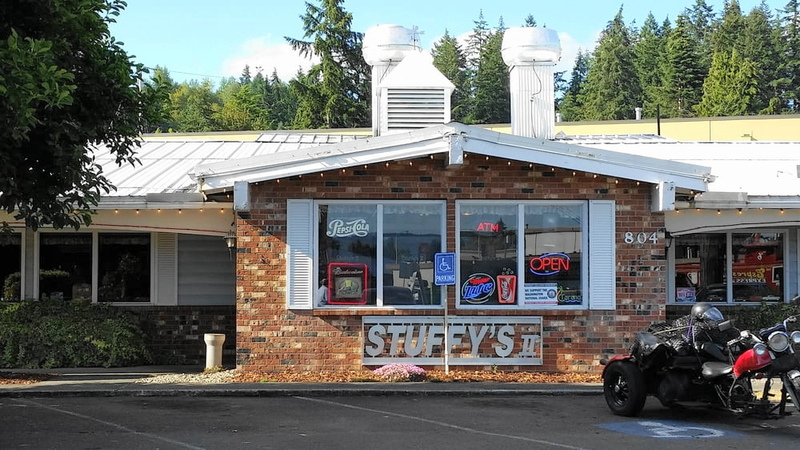 “We can eat at Stuffy’s, at least,” Julie pointed out. Stuffy’s is, as far as we are concerned, the only reason to stop in Longview at all. We are not foodies, really (though Julie is endlessly entertained by the cooking shows on Create Network.) But we have a rule when we are on the road– no chain restaurants, no fast food. We like finding new restaurants in out-of-the-way places almost as much as we like thrift shops and used bookstores. 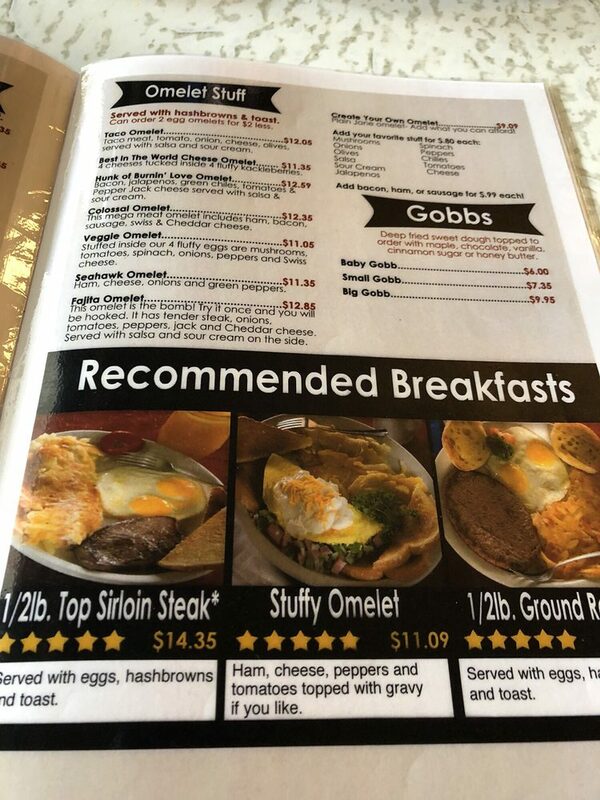 We love old-fashioned diners, especially, and Stuffy’s is very nearly the platonic ideal of one. The food is spectacular and it even actually looks like what you see pictured on the menu. They are mostly known for their basketball-sized cinnamon rolls. They are so huge that it’s the only thing food bloggers ever write about when they mention the place. We’ve never dared to order one. Even though Julie and I generally regard our vacations as cheat days on our normally rather light dietary regimen, those things are just scary. 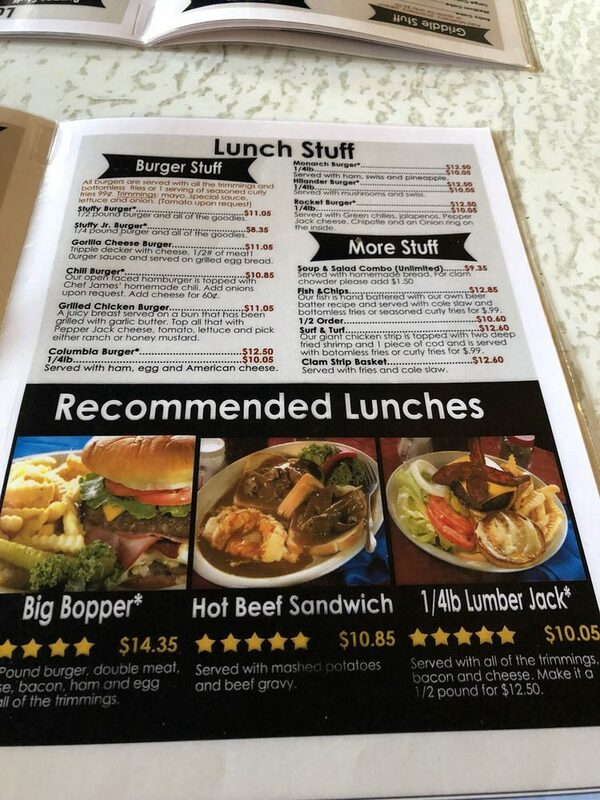 We’re fine with the regular menu. We did have some money left after the automotive mishap, just not enough for a prolonged hotel stay… not even at a no-tell motel like the EconoLodge. But we could goof off a LITTLE, especially now that the car was in good running order again. Julie’s idea was to leave Kelso and come home the long way, around the peninsula. Here’s a map for the Northwest-impaired. 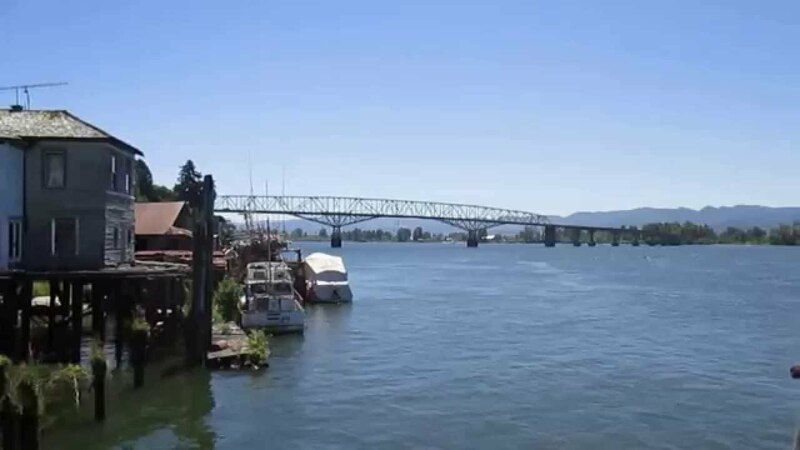 Starting from Kelso-Longview there near the botton and taking a lazy, irregular drive west along the Columbia River on Route 4, turning north on 101 up toward Long Beach then cutting over on 107 to Montesano, take the back way up to Shelton and on to the Southworth ferry and home. That was actually the same route home we took from Portland the day I asked Julie to marry me, so there was even a little romance to it. It was our anniversary trip, after all. So we were moderately pleased with this compromise. It was still kinda putting lipstick on a pig, but by God it was going to be one hawt-looking pig. After another sinful meal at Stuffy’s, we set out for the coast. When we go this way we usually go on the Oregon side, but Route 4 has a charm of its own. There is little of interest if you are looking to do any bookscouting or antiquing, which is why we are usually more about the Oregon side and the old Highway 30, but 4’s a pretty drive. A few little fishing villages, but mostly it’s just trees and cliffs. Here’s a view of the road just before Skamokawa that gives you an idea. We decided to stop in Long Beach, mostly because it’s totally our kind of tickytacky beach town. 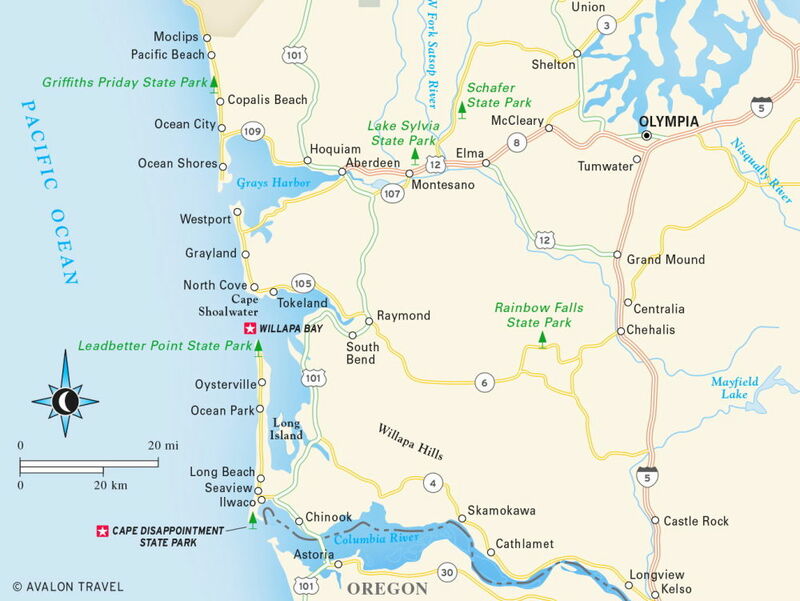 There are dozens of these places up and down the Pacific Coast and we love them all. 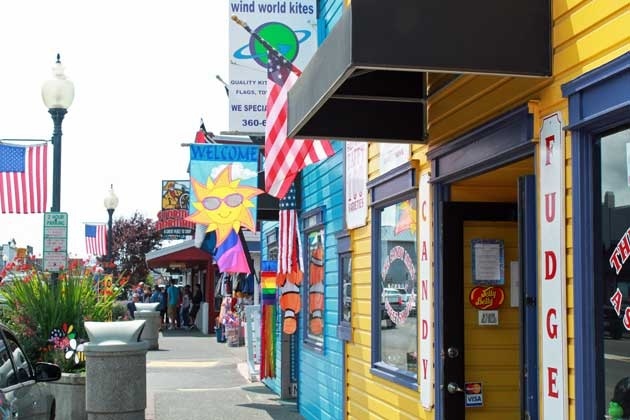 Pinball arcades, taffy emporiums, skeeball and minigolf and “Gift Shoppes” specializing in tchotchkes made of seashells and driftwood. We are ALL ABOUT that stuff. As it happens the Friday Market was happening on the town square, complete with a local country trio. 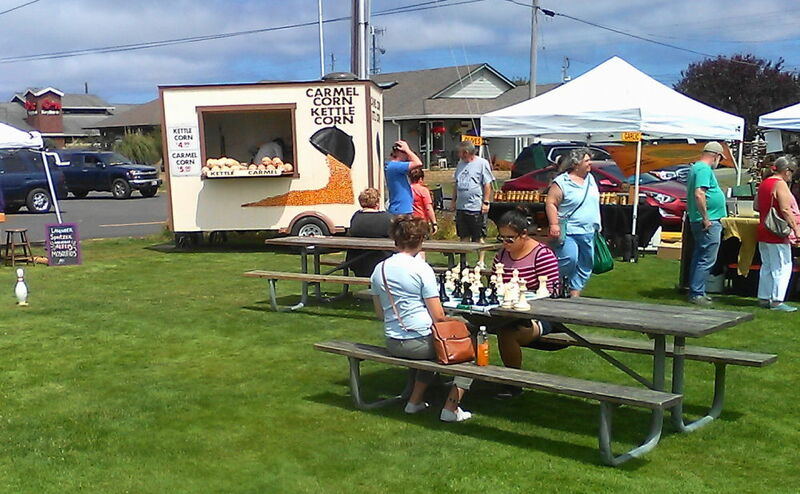 I was utterly charmed by the games set up on the scattered picnic tables. Here a mother and daughter are having a fierce chess showdown. We picked up a bag of taffy for some friends at work (because in the Pacific NW, you can’t go to the coast and not come home with taffy. Apparently there’s a statute or something.) Then Julie wanted to walk down to the beach, and we started that way, but we were diverted. 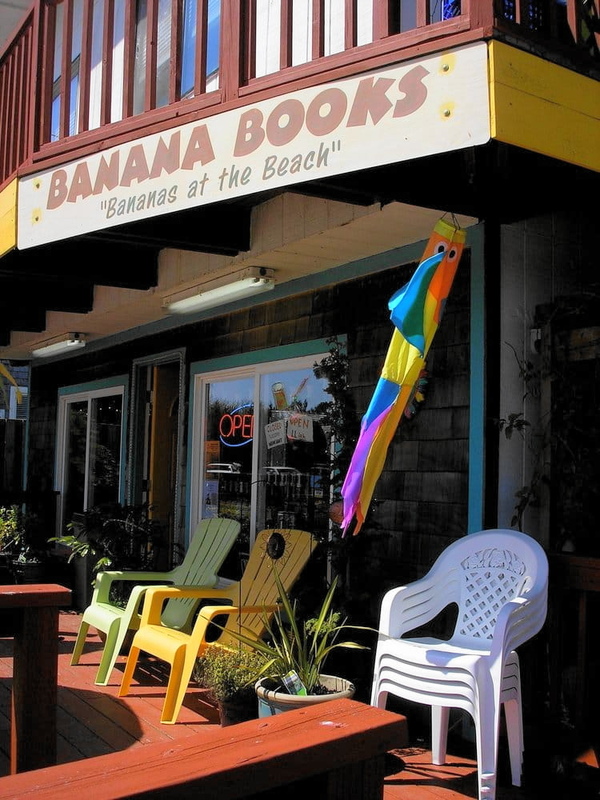 Banana Books on 3rd Street, just off the main drag in Long Beach, was a delight. The proprietor was sitting out on the deck chatting with a passerby about his garden, but immediately excused himself and stood to welcome us. We assured him we were fine but he still wanted to know what we were after. “I have a soft spot for pulp paperbacks from the seventies,” I said. “Oh sure! John D. MacDonald, Mickey Spillane, those guys, I get a lot of that stuff but it goes quick. Over here.” He bustled over to what turned out to be the mystery section. Sadly, there wasn’t much there of interest to me, it was much more contemporary stuff. Apart from Sara Paretsky, Michael Connelly, and the late Sue Grafton, I rarely get into modern mysteries beyond Ed McBain. Maybe Lawrence Block once in a while. Certainly it was no fault of the bookstore; clearly his primary market was tourists wanting a beach read and there were a great many of those. Not my thing, though. However, Julie had been nosing around what looked like a pile of oddball discards on the floor and she found a couple of things. 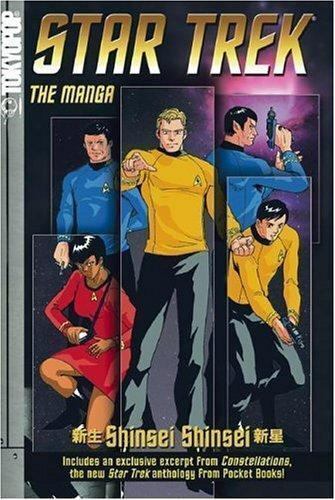 Star Trek: the Manga is something that I had kind of but not really been interested in when it came out, mostly because I’d just done a giant purge of Star Trek books from the home library and was wary of going down that rabbit hole again. But this was a like-new copy, and cheap. She also handed me this one just because she liked the cover. The Case of the Lion Dance by Laurence Yep. It sounded like fun from the blurb… When Lily’s great-aunt Tiger Lil is hired to publicize the opening of a new restaurant, she plans an all-out extravaganza. But a mysterious bomber sets off an explosion, and all her plans go up in smoke. Someone is trying to sabotage the restaurant! And now the police are writing off the case as a publicity stunt gone wrong. It’s up to Lily and ex-action star Tiger Lil to catch the culprit themselves. 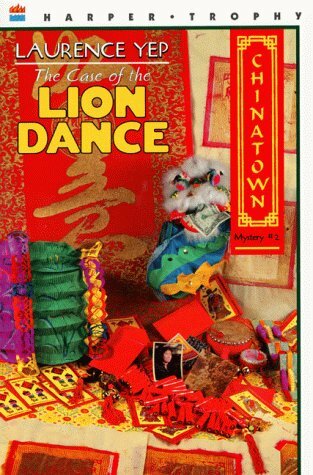 In this, his second book in the Chinatown Mystery series, award-winning author Laurence Yep has written a fast-paced, hilarious story that brings San Francisco’s Chinatown to life. I had a vague memory of Laurence Yep being good, though I couldn’t tell you where I’d picked that up. But that was enough along with the blurb to add it to the stack. I moved over to science fiction and found a couple more over there. The first was from Poul Anderson, Past Times. I’ve written elsewhere of how much I dig Anderson’s Time Patrol, and at first I thought that’s what this was. 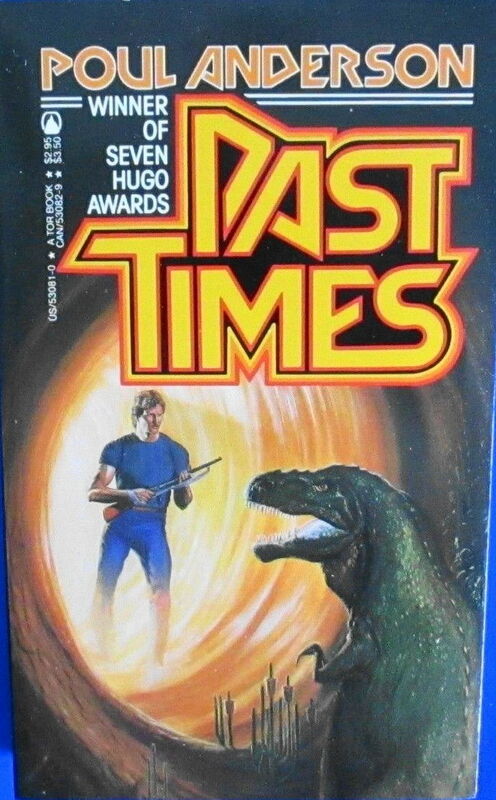 Although he wrote lots of other time travel stories as well and I’m pretty much in for all of them. 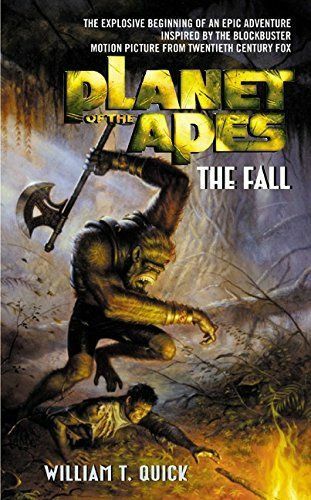 The other was strictly an impulse buy… Planet of the Apes: The Fall by William Quick. Quick did the novelization of the Mark Wahlberg Planet of the Apes movie from 2001 that most of us aficionados pretend didn’t happen at all, and he apparently had leveraged that into doing a couple of original novels in that continuity as well. This was the first of them, and in pristine shape. The back cover copy made it sound interesting… The starship Oberon is searching for its AWOL pilot when it crash-lands on an unknown planet, leaving all but a handful of its crewmembers dead. And those who remain are not alone in this strange, inhospitable world. A savage insectile race waits just below the surface, massing to obliterate the unwanted invaders. And the Oberon’s last human survivors must look to unlikely allies for help: the apes they carried onboard. Using controversial gene technology, the starship’s scientists hope to transform the primates into a powerful army — strong, agile, subservient…and intelligent. But the consequences of playing God promise to be more devastating than anyone could have ever anticipated, ushering in a dark and terrifying future that will pit slave against master, ape against Man. I’d snooted these books when they came out, because I really DID NOT LIKE that movie. But this sounded kind of cool, and what the hell, it was cheap. Looking it up when I got home I discovered that it was a bit of a score; new copies go for anywhere from forty to a hundred dollars. The follow-up, Colony, is even more rare. With that, we decided to move on. We never did get to the actual beach. But that was all right. We stopped for dinner in Shelton and we would have hit up the bookstores and thrift shops there as well, but they were all closed. Pity; they’d had a bunch of cool hardcover westerns there the last time we’d been through. Oh well. Anyway, it wasn’t a HUGE expedition, but for an overnighter, it was fun. And we found a new bookstore. So our lipsticked pig of an anniversary trip worked out okay, and we still had three days of vacation left. As it happens Julie’s old roommate (and maid of honor) Marcia came into town yesterday, so while the girls are out shopping and goofing off, I decided to write this up. We all vacation in our own way. It’s cool that you managed to have fun. You guys always make me envious with your fascinating journeys! And it’s always cool to find a cool bookstore, or just a place with lots of cool books where you don’t expect it. I love when that happens. Curse you, Travis! Making me look like a loon, just because you can’t stand anyone making fun of your literary namesake! BWA-HA-HA!!! That will teach you to mock the great name TRAVIS!!! It’s amazing to me how much of this I relate to. I’ve just got back from a four-week coastal sojourn. I love finding unique food places (though the ‘no chains’ bit is more of a… guideline than a rule for me). I like the sounds of that cinnamon roll, but no way I’d order it. That bridge over a bay looks like at least one of the towns near where I stayed… and one of them even has a sub-town called Long Beach. And another has (Saturday) markets that look much like the one you pictured, that I went to. Is anyone else now singing Supertramp? Mik puts his hand up. Been there. You have my sympathy. Similar problems eventually killed the car I moved up to Durham with—as I work from home, we don’t need a second car, so we let it die (donated to charity eventually). Beach sand can be vicious to books. The library back in Destin Florida where I used to work had several shelves of cheap paperbacks so that tourists could read them and if they were ruined, no big. I just spent my week of vacation refereeing two grandkids and transporting people from here and non; so, you guys are a big one up on me. Unfortunately, my part of the Midwest is a bit sparse on the used books shops; used to be plenty, but, retail space rentals have killed most of them. There’s still a nice big one, near Decatur, IL; but, I haven’t been over that way in a looooong time. Since it is hard for my wife to get around and travel, it just hasn’t seemed worth it. I used to find some nice hardcovers there, including some Erich Remarque and a fairly young reprint of Steinbeck’s Grapes of Wrath (which I ended up giving to a friend for her college graduation). I also found some Robert Benchley (the humorist) and some James Thurber, and a great humor anthology, edited by Gene Schallitt. That Star Trek manga cover makes me chuckle; that is way more hair than Shatner ever had, as an adult (at least, his own hair). Still trying to figure out if the figure on the right is Sulu or Chekov. With manga, you can’t always tell.